Congratulations Mike German on your Crowd Favorite Award!!! This morning I received your note about volunteering at ACE17 in Philadelphia, PA and was reminded that a big THANK YOU is due to PA-AWWA for supporting my trip to Chicago for ACE16. 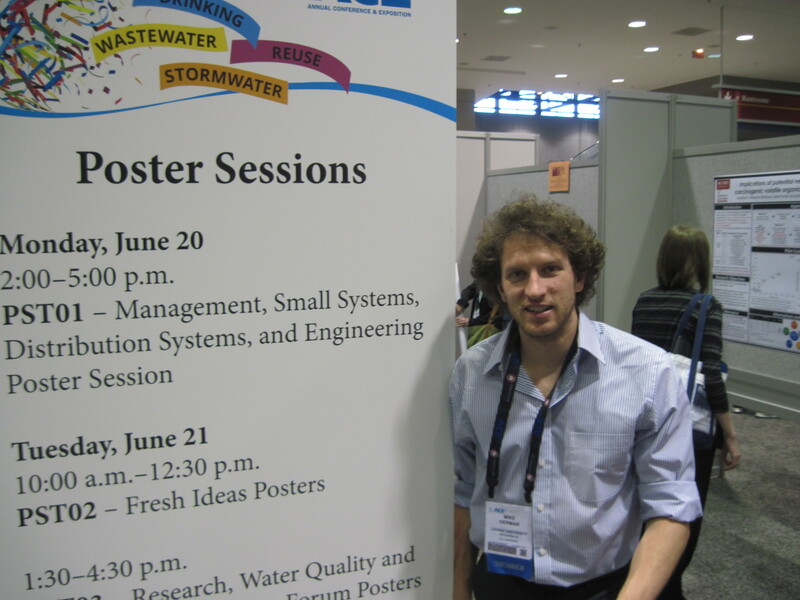 At the conference I came across a booth by the US Bureau of Reclamation’s Brackish Groundwater National Desalination Research Facility (BGNDRF). 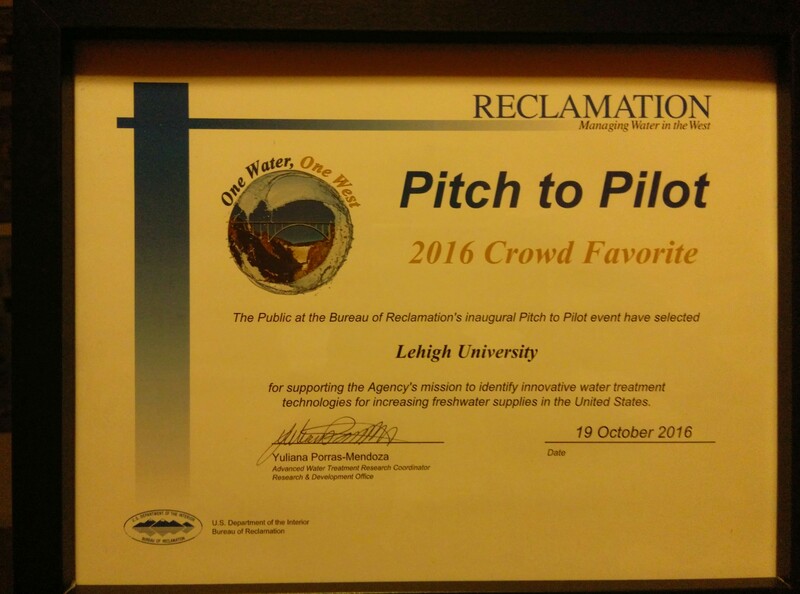 This was very exciting to me because of our lab’s work towards improving desalination efficiency and BGNDRF’s Pitch-to-Pilot contest. I applied with my adviser (Dr. Arup K. SenGupta) on behalf of our lab. 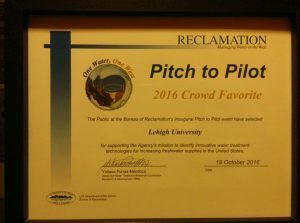 The pitch happened in mid-October, where I was awarded the Crowd Favorite Award (see attached), which was very exciting, but came with no money. Two weeks ago, we found out that we won the $100K award with our PA partner Amorphic Tech, Ltd. (Andrew Schevets) to fund testing and evaluation of a pilot-scale test of our research at BGNDRF next year! This wouldn’t have been possible without the unexpected trip and support to ACE16.